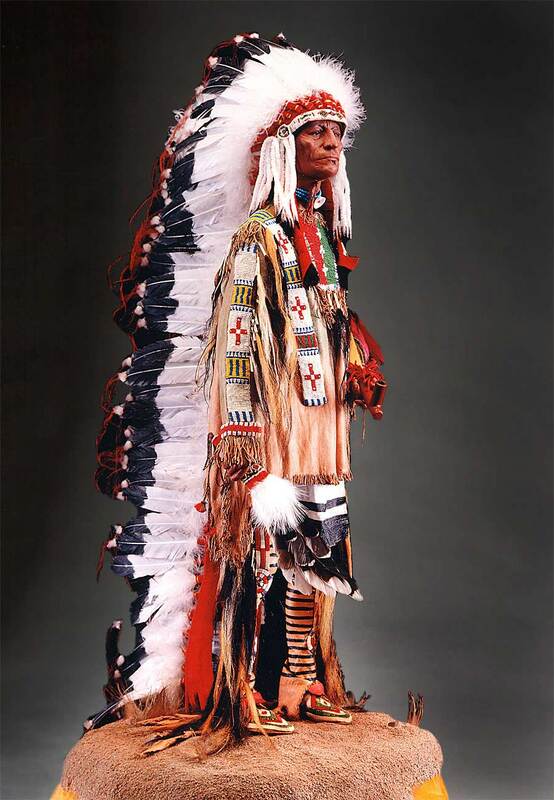 Sioux Chief's Recognition of a lifetime of valor – a feather at a time. 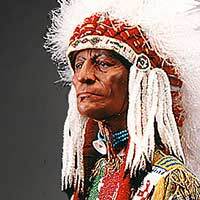 In a Sioux chief’s very long bonnet, each feather often recognized a valuable deed and service rendered to the tribe, much as medals have bedecked military and political leaders throgh out world history. 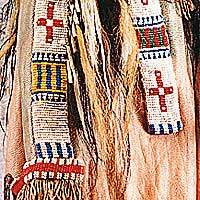 Among the plains indians, a brave was allowed to wear a bonnet as recognition of his battle accomplishments, frontline valor and hand to hand combat. 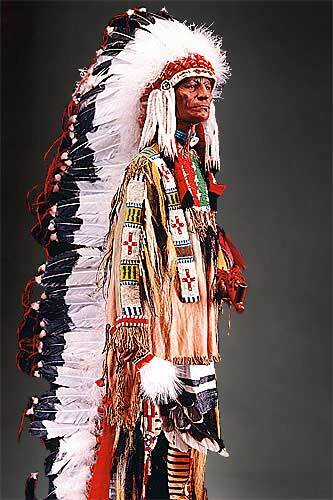 A war bonnet was believed to protect the fighter. Each feather was awarded for an important act in battle. After a dozen or so feathers were earned, a warrior was allowed to gather the remaining feathers for a full bonnet.